When Baker started work for the SCLC she was already an old hand at organising and movement building, but the ministers certainly weren’t — I can’t really imagine what it was like for her. I had anticipated being there for about six weeks. Gave myself four weeks to get the thing going and two weeks to clean it up. But they had no one. How did they get Rev. Tilly? They wanted a minister. I knew that. They couldn’t have tolerated a woman. I guess my own experience but basically in terms of the church. All of the churches depended in terms of things taking place on women, not men. Men didn’t do the things that had to be done and you had a large number of women who were involved in the bus boycott. They were the people who kept the spirit going and the young people. I knew that the young people were the hope of any movement. It was just a normal thing to me. The average Baptist minister didn’t really know organization. Baker underlines the autocratic way she was ordered into the SCLC by Levinson and Rustin, as part of the In Friendship group they had formed to support the formation of a group after Montgomery. They came back and told me that I had been drafted to go to Atlanta to set up the program for the Crusade for Citizenship for these twenty-odd meetings. Prior to that it had been assumed that Bayard would go down, but he was not available, let’s say. I was very provoked because I had never in my life. EUGENE WALKER: Well, let me ask you this. This is the first major civil rights undertaking in the history of this country whereby a woman has been granted a seemingly, ostensibly significant policy-making kind of position. Now, were you taken by that? Was that gratifying to you? ELLA BAKER: [Laughter] Oh no, no, no, no. Because I knew I didn’t have any significant role in the minds of those who constituted the organization. I’m sure that basically the assumption is, or was, and perhaps the assumption still prevails in the minds of those who remember my being there, that I was just there to carry out the orders of Dr. King and somebody else, but incidental since there was no designation of authority. I wasn’t a person of authority. The problem of always responding — who amongst us who has worked in movement-building organisation doesn’t know all about that? Baker’s real strength was in being able to create space to think bigger — and the SCLC did little to appreciate or utilise that skill. I think the basic reason for the reactions of N.A.A.C.P. and S.C.L.C. to S.N.C.C. is the fact that they elected to be independent and they exercised the independence that only young people or unattached people, those who are not caught in a framework of thought, can exercise. I can look back probably at a book by Harold Cruse —I don’t remember seeing his name mentioned in Cruse’s book. 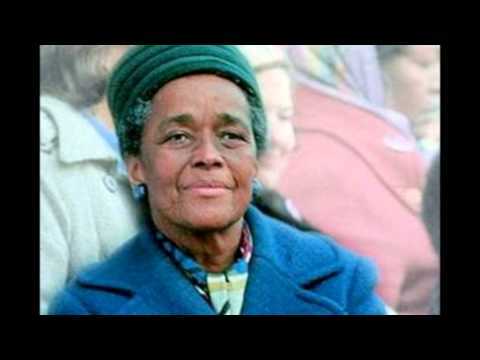 ELLA BAKER: Cruse is an embittered soul too, isn’t he? She is very critical of the Baptist ministerial tradition — this was so good for me to read because these comments brought it home to me in a way nothing else has done. She’s critical of King in how fearful he remained of open dialogue — though I know he was better than others of that tradition. ELLA BAKER: No. I don’t care how much reading you do, if you haven’t had the interchange of dialogue and confrontation with others you can be frightened by someone who comes and is in a position to confront you. EUGENE WALKER: Especially if they confront you with an air of security and independence. I just I love how she is well aware of how insecurity is not driven away by degrees, position or book-learning. Just as she is aware that being open to others is real strength. That so much was accomplished despite the weaknesses highlighted here… there is so much we owe the women of the South, and especially Ella Baker. Interview with Ella Baker, September 4, 1974.